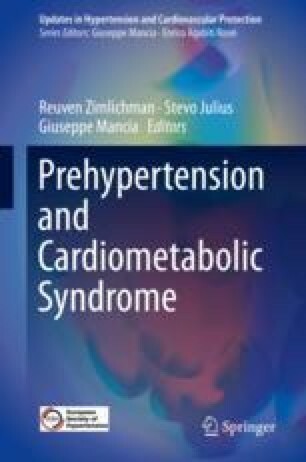 The PREVER study addressed two open issues in the management of prehypertension and hypertension. The PREVER-PREVENTION trial evaluated the effectiveness of a low dose of chlorthalidone with amiloride in the prevention of hypertension and target organ damage. The PREVER-TREATMENT trial compared the BP-lowering effect of diuretics and angiotensin receptor blockers and their BP effects on surrogate outcomes. Both were randomized, parallel, double-blind, controlled trials, conducted in parallel in 21 Brazilian academic centers, with 730 and 655 participants, respectively. Participants were eligible if remained with prehypertension or Stage-1 hypertension, respectively, after 3 months of lifestyle intervention. The incidence of hypertension was significantly lower along 18 months of follow-up in participants allocated to diuretics compared to placebo (hazard ratio 0.56, 95% CI 0.38–0.82). Left ventricular mass assessed by ECG indices decreased to a greater extent in participants allocated to diuretic. In the PREVER-TREATMENT trial, participants randomized to chlorthalidone/amiloride had a more intense lowering of BP along the trial (2.3 mmHg on average of systolic BP, 95% CI: 1.2 to 3.3), despite the higher proportion of participants who had the initial dose doubled and used additional agents to control BP in the losartan arm. The findings of the PREVER-prevention trial underpins the recommendation for drug treatment of individuals with prehypertension who do not respond to recommendations to change their lifestyle. The findings of the PREVER-treatment trial show that the treatment of hypertension should start with effective BP-lowering agents such as diuretics. Sources of Funding: The Ministry of Health, Division of Science and Technology (DECIT), and Ministry of Science and Technology, Brazilian Innovation Agency (FINEP) (number 01080606/01), National Counsel of Technological and Scientific Development (CNPq), National Institute of Health Technology Assessment (IATS), and Hospital de Clinicas de Porto Alegre (FIPE-GPPG: 08621), RS, Brazil sponsored the PREVER study.